I came across this gorgeous video of Hysteria Machine's designer, Cara Trinder on the Style Insider channel on Facebook. 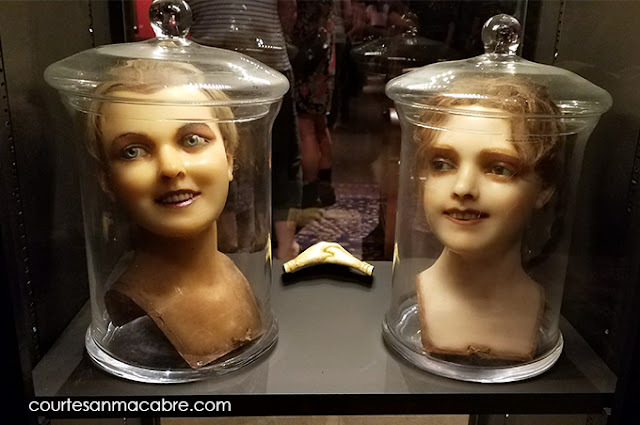 I was struck by the elaborately beautiful macabre masterpieces on a channel that generally showcases lighter, mainstream fare. Watching Trinder make each piece from scratch, casting the intricate pieces in resin, then gold leafing the finishes, adding jewels was crafty heaven to me. Fear not gentle vegans, despite the abundance of bones and skulls in her work, she does not use actual animal parts. These elements are faithfully cast or sculpted in resin as well. In addition to headdresses and crowns, Cara Trinder also makes dramatic corsets and masks for her clients. 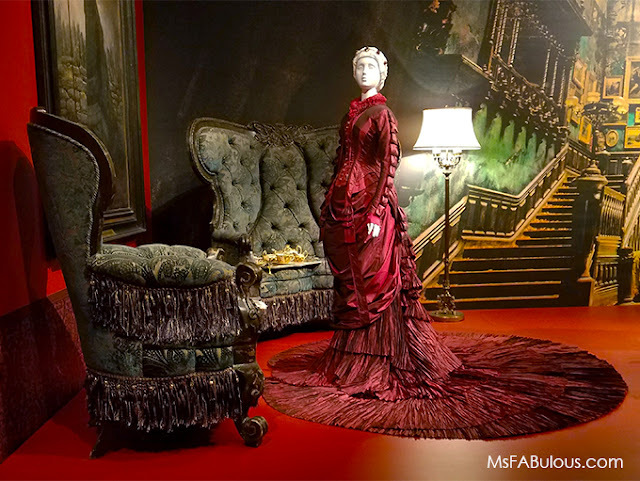 Do you need a great exhibit to visit this Halloween? 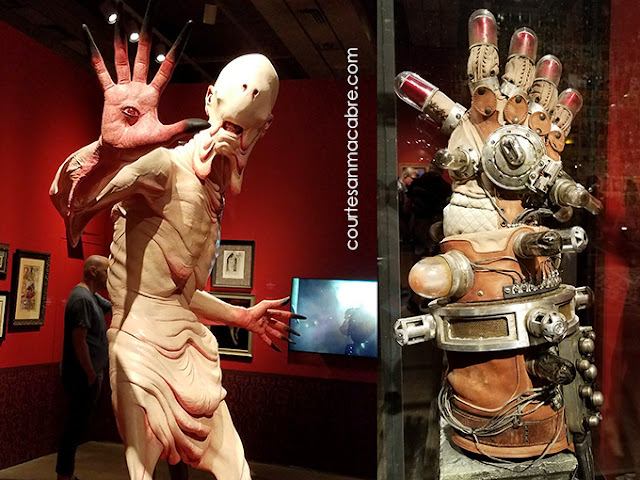 The Art Gallery of Ontario in Toronto is hosting the Guillermo Del Toro At Home With Monsters show. The exhibit is inspired by his personal collection, housed in a creepy mansion. 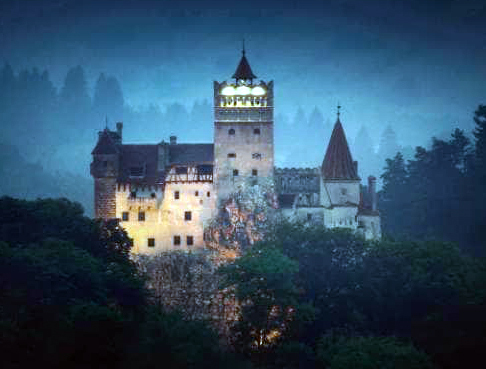 Expect to find lots of Frankenstein and other classic monsters. 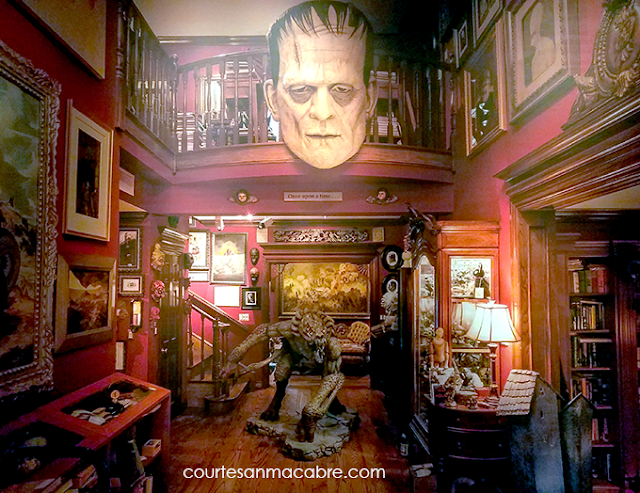 Lots of art and memorabilia from his films and monsters of his own making. The stunning costumes of his Gothic masterpiece, Crimson Peak. 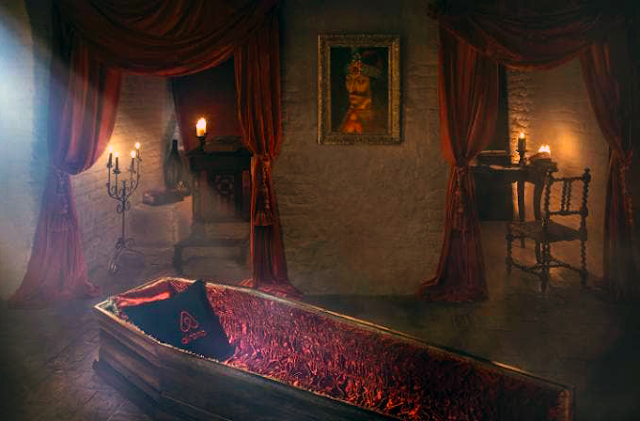 Lots of comic art and set pieces, props from Hellboy 2, The Golden Army. His inspirations, like insects, death, mourning culture and his use of color are explored. Happy World Goth Day - What Kind of Goth Are You? Struggling with an identity crisis? Don't want to have your persona generalized into one type of Goth? 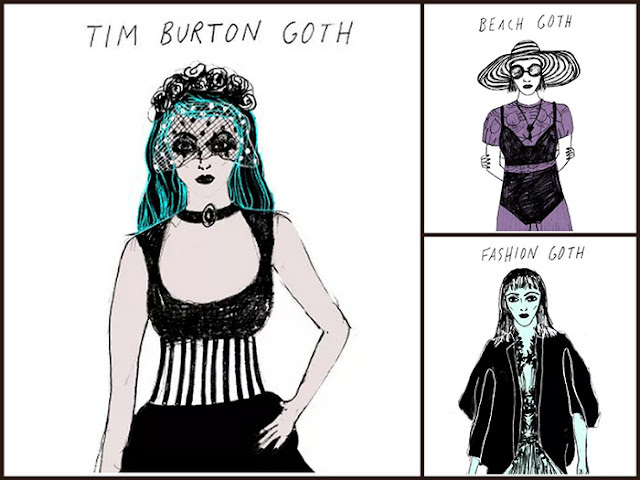 Nylon magazine has helpfully published a definitive guide to modern Goths. The guide is delightfully illustrated by Liz Riccardi. New types of Goth I have only recently been made aware of include Health Goths and the fashion style of "Gothleisure". This goes in the face of the stereotype of sullen, moping, inactive emo waifs. Ever conscious of death, the Health Goth takes care of themselves. They wear their dark lipstick to their gym and have Leikeili47 on their gym iPod. Of course, they love their Y-3 black and white graphic workout gear. Related to Health Goth is the Beach Goth. Contrary to popular belief, Goths do enjoy the sun and beach. It also gives an excuse for frilly parasols, shades and elaborate hats. There are Bret Easton Ellis Goths for preppy dark souls. 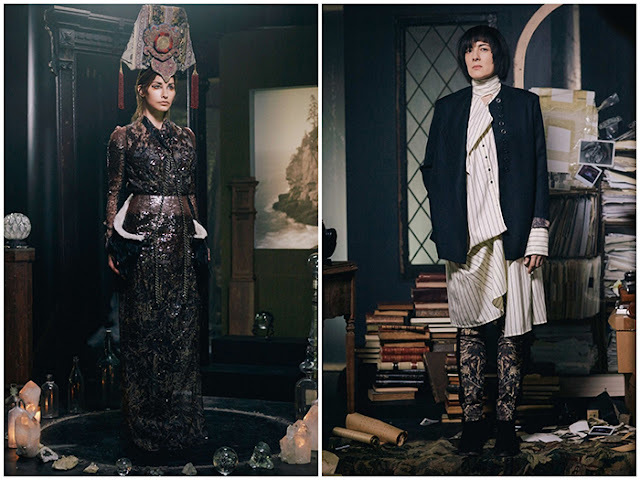 You are already familiar with Tim Burton Goths, fashion Goths and Victorian Goths. Cyber Goths have been growing in popularity the last decade with funky new gadgets and high-tech fashion elements. Want to sort yourself out? Read the Nylon Goth Guide and have a wonderful World Goth Day!